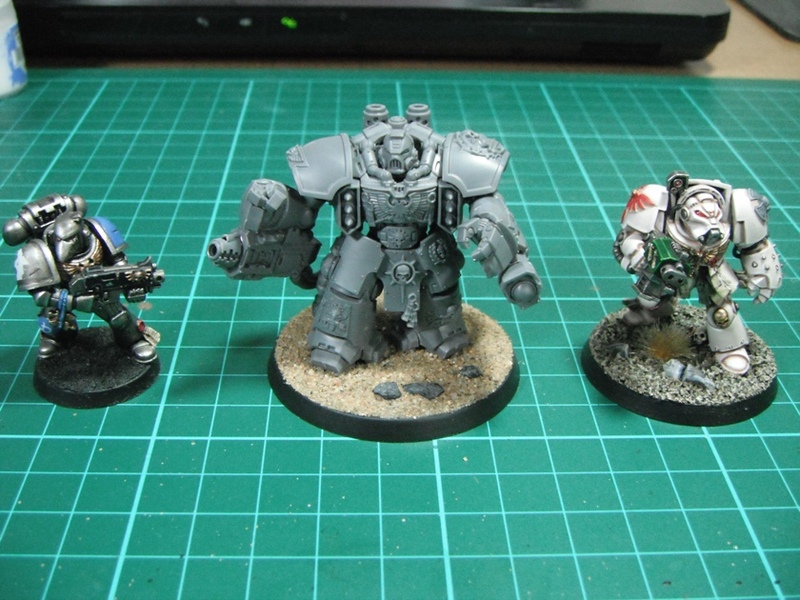 It’s taken a while but I have finally completed my Centurion Devastator squad. I really like these guys and as soon as I had read the battle report featuring them in September’s White Dwarf I knew that they would fit the Astral Claws theme perfectly. They are utterly brutal and great Space Marine killers, exactly the kind of unit that would be deployed during the Badab War. As the sergeant can choose to target a different unit to the rest of the squad I decided to arm him differently and in the end opted for a pair of lascannons as they look really cool. It also adds a bit of variety to the squad. The Servo skulls were added for a bit of fun. I had a number of them left over from my Devastator set and wanted to paint them up. Servo skulls are really evocative of the artwork and I can remember pouring over pictures in White Dwarf many years ago wondering what all of those little flying skulls were long before GW released any information regarding them. If I ever use these guys in a game then they will double up as wound counters. 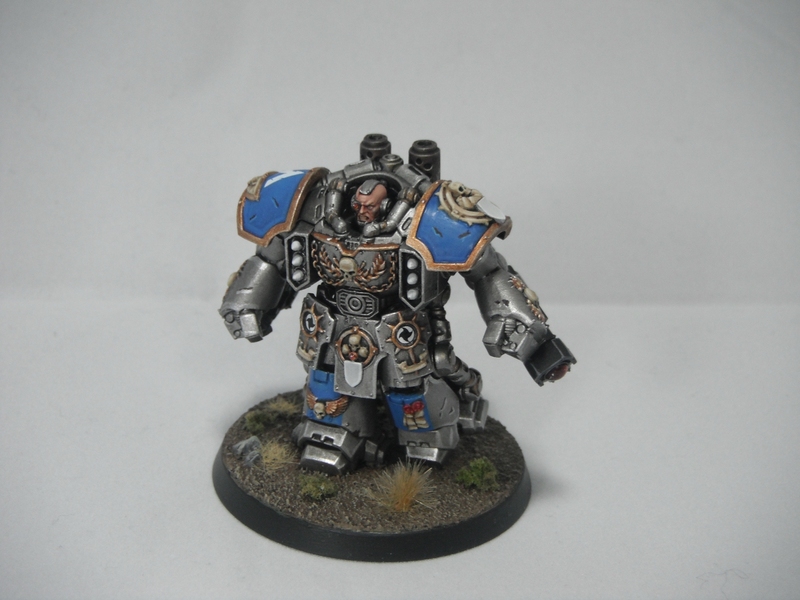 My second Centurion is now complete. I decided to use a bare head on this model and I think I prefer the look to the helmeted one. 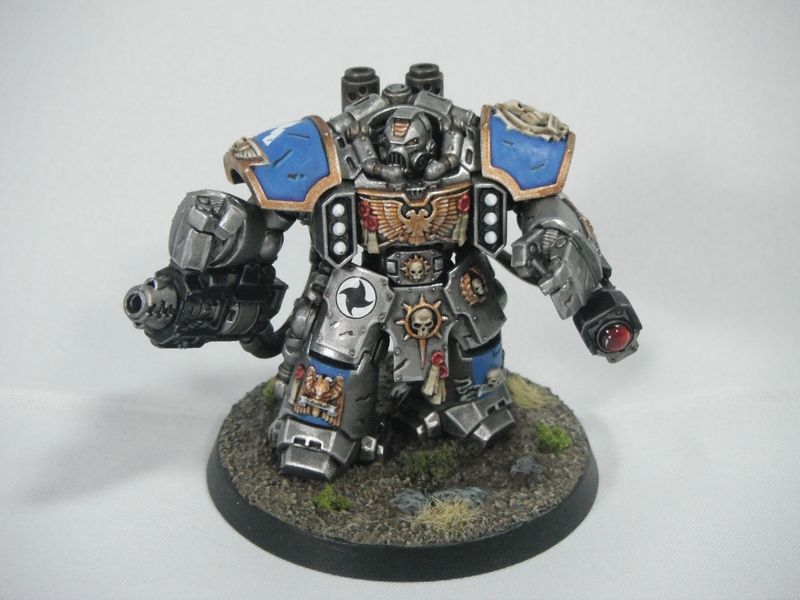 Other than that he is painted pretty much the same way as my previous Centurion. Just the sergeant to go now and the set will be complete. 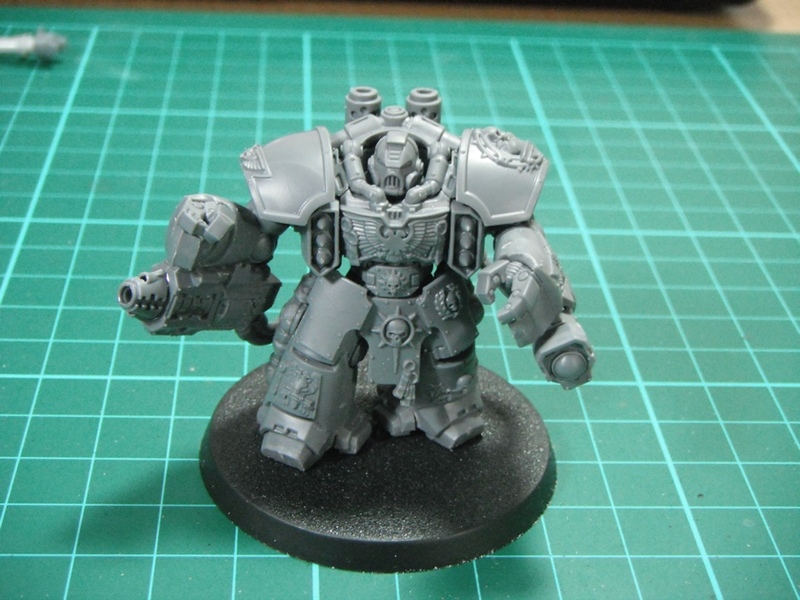 My second Centurion is assembled and ready for painting. 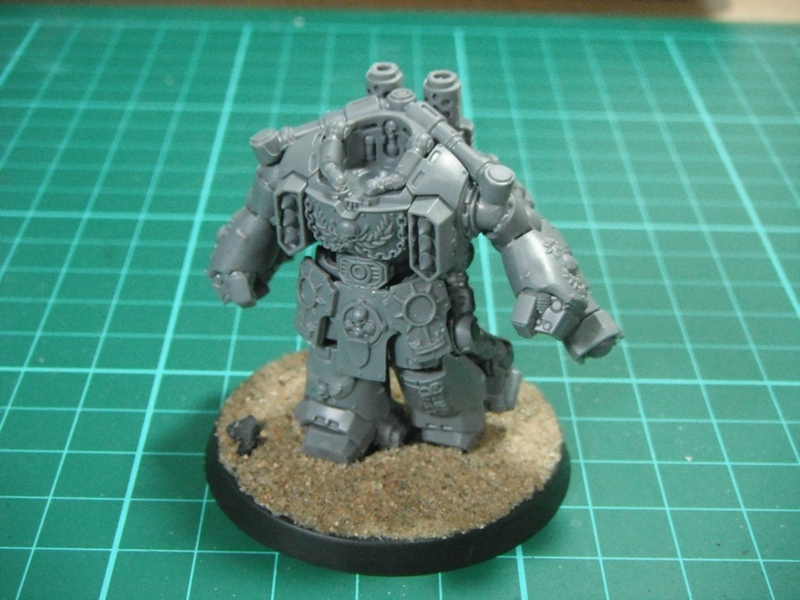 I really like the pose on this model, it has more movement in it than the other two and really conveys a sense of the weight of the battlesuit as it lumbers ponderously towards the enemy. My Space Marine Centurion is now complete. This was a great model to put together and paint. I can’t wait to get started on the other two. 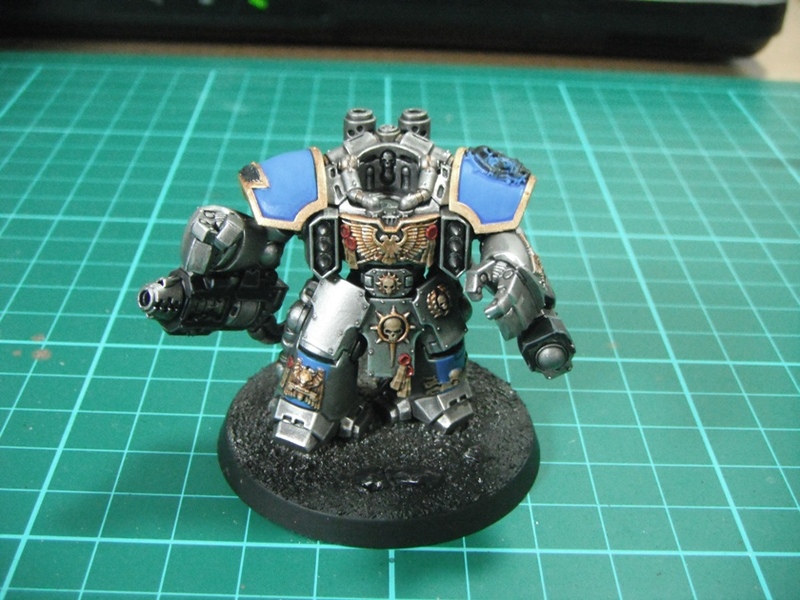 I’ve made quite a bit of progress on my Centurion this weekend. The armour is done and I have begun filling in the details. The blue stripes on the legs help break down the large areas of silver. Hopefully I will be able to get him finished this afternoon. The bulk of the work is done now, just the details to paint. If you follow me on Twitter you will have seen this already. 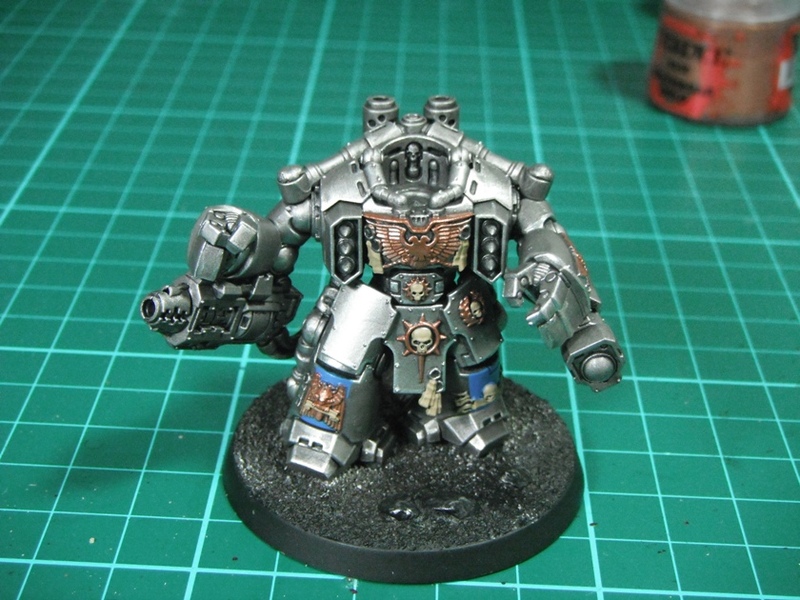 I have finished assembling my first Centurion who will be joining the ranks of the Astral Claws in order to crush the life out of any loyalists. I really love this kit, from the pre-Heresey stylings of the shoulder pads to the old-school Terminator style helmet. 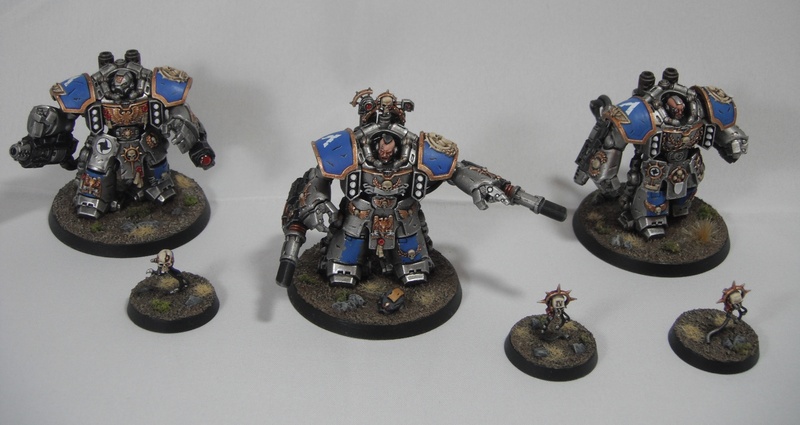 I also like the fact that GW have reintroduced grav weapons into the game. However, unlike in the old Rogue Trader days they are no longer non-lethal weapons and pack quite a punch (they used to simply impede movement). The model went together nicely and, despite the detail and complexity of the kit, it was very easy to assemble. 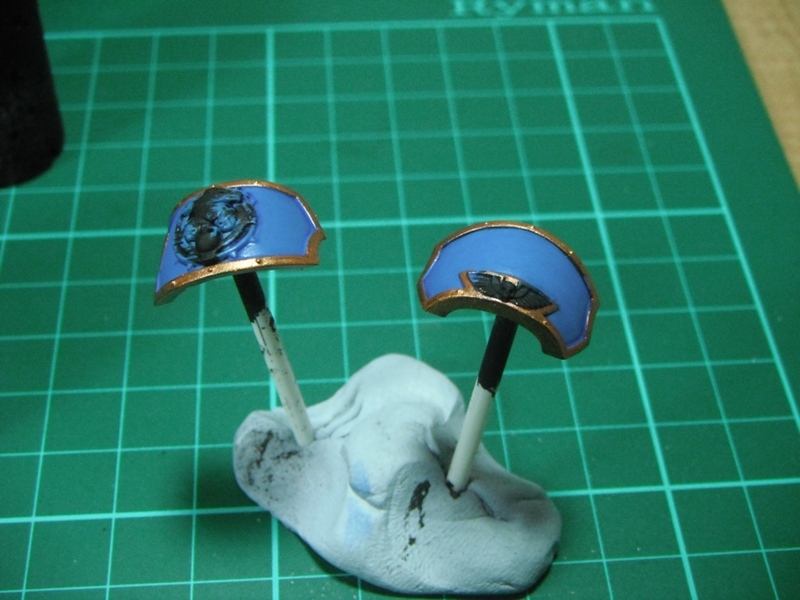 Certain parts are merely blu tacked on at present to aid painting. The layered detail and overlapping parts would make this a nightmare to assembled as a single piece. I did, however, make the mistake of gluing the arms on which may make painting the legs tricky due to the hanging cables. Never mind, I’ll know for next time. By the way, did I mention that this guy is huge!